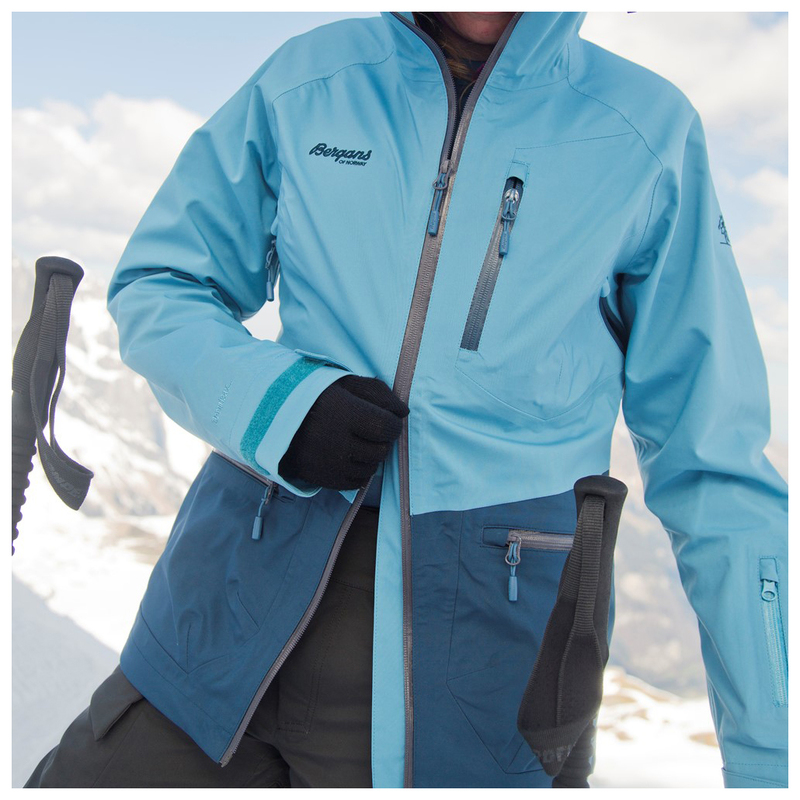 For long days on and off piste - the Women's Myrkdalen Jacket from Bergans. 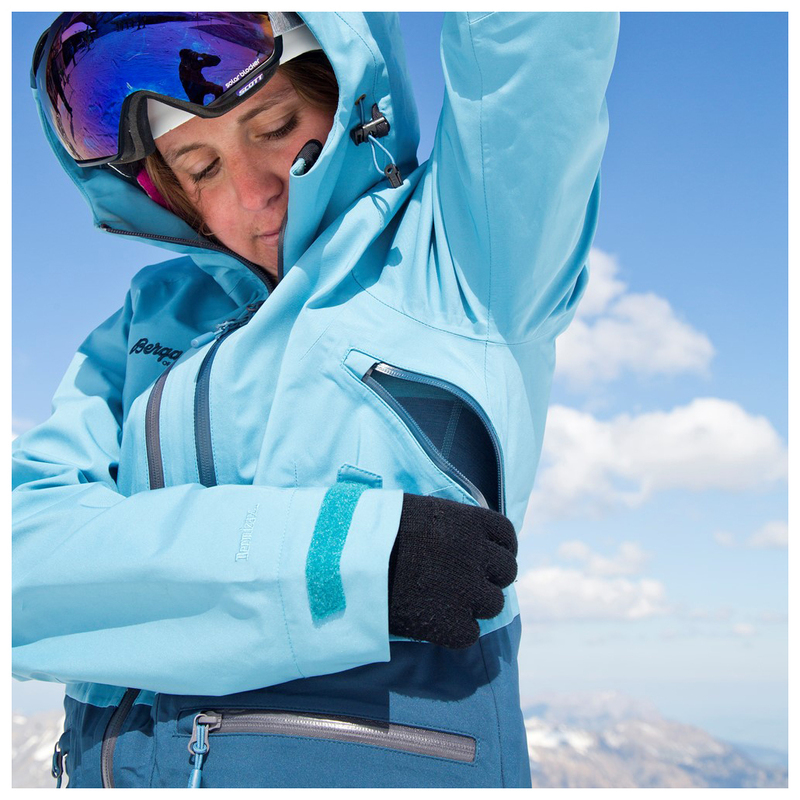 This stylish ski and freeride jacket is both fashionable and functional. 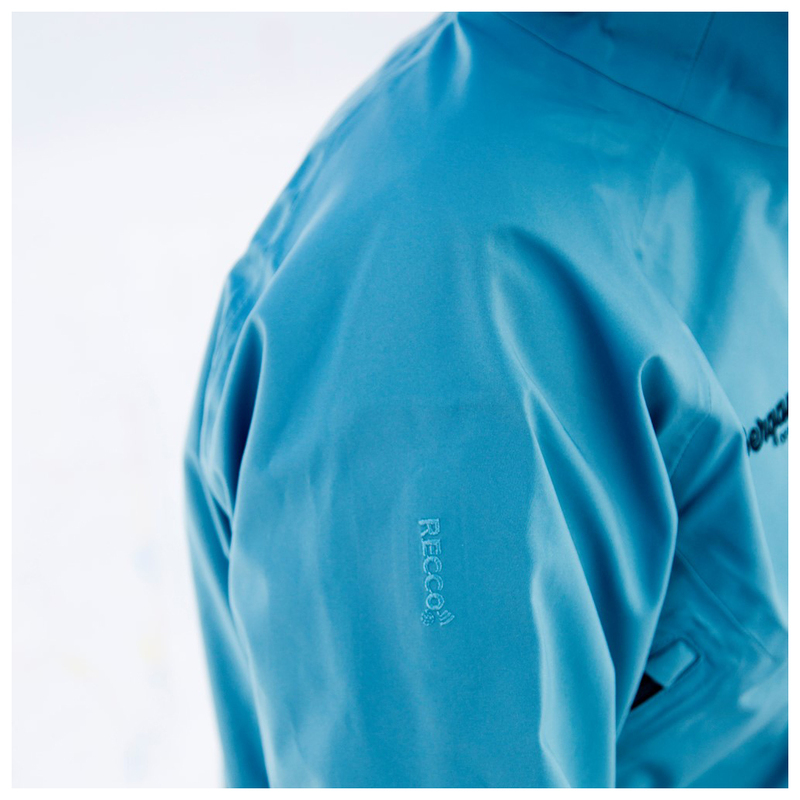 The technical ski jacket is made of the 3-layer laminate Dermizax. Dermizax is a breathable, windproof and waterproof material with an integrated membrane. Unlike membranes from other laminate manufacturers, the Dermizax membrane is non-porous. The special chemical structure of the membrane makes the transfer of moisture possible. The advantage: there is risk of pores becoming clogged by salts and dirt. Thanks to the functional membrane, the 3-layer material prevents snow, wind and rain from penetrating, and sweat is directed outwards on those tough descents. 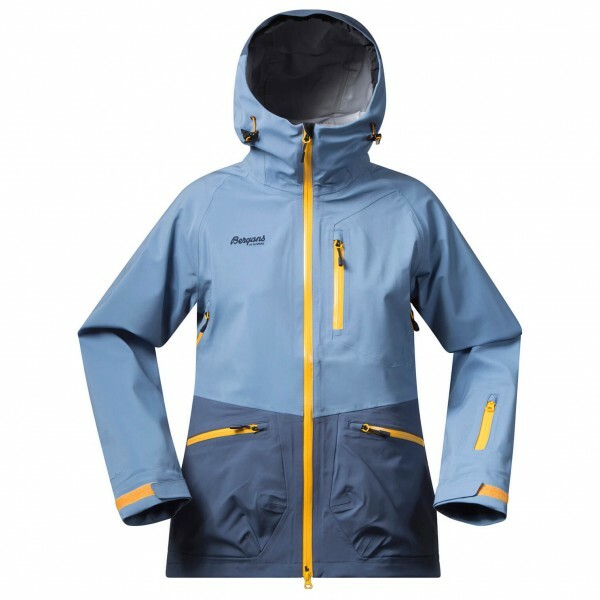 In addition to the material, the Women's Myrkdalen Jacket from Bergans also has loads of technical features. 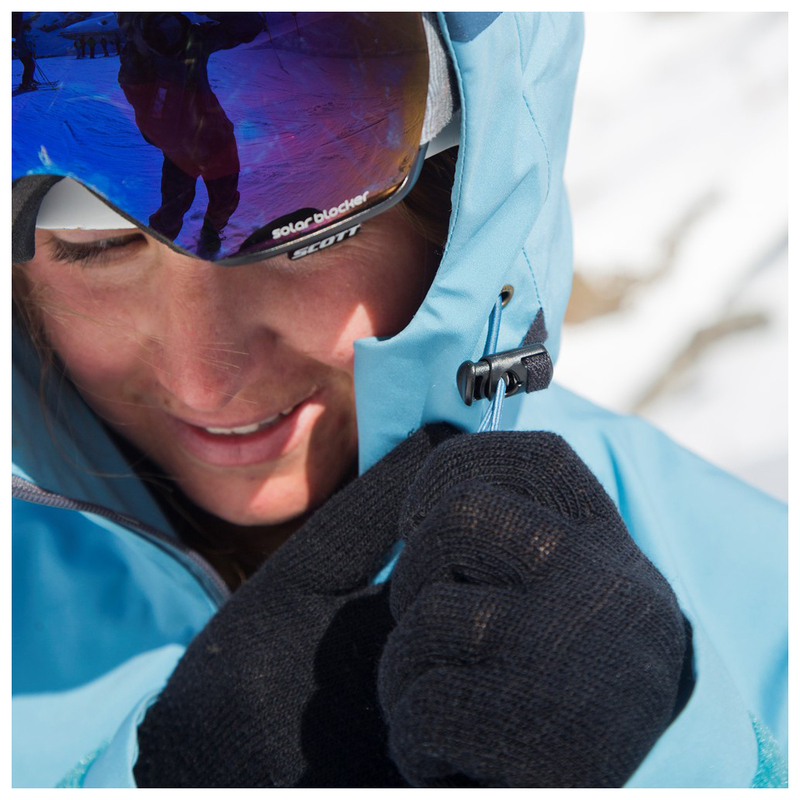 The large, adjustable hood will fit easily over your ski helmet. The removable powder skirt will prevent powder snow penetrating into the interior. 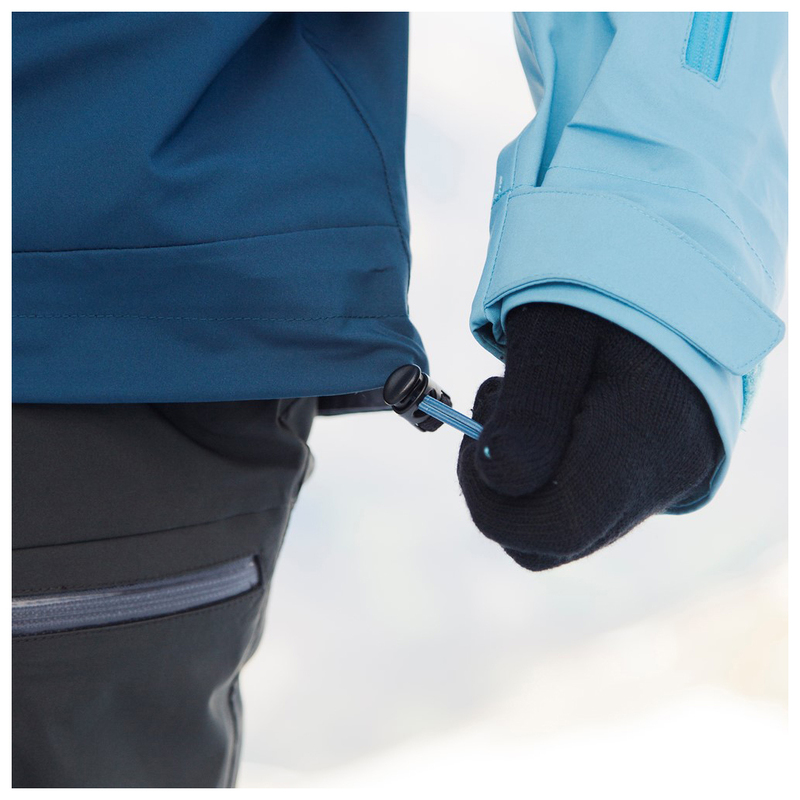 The attachment loops in the hem offer a way to connect a compatible pair of Bergans ski trousers to the jacket. 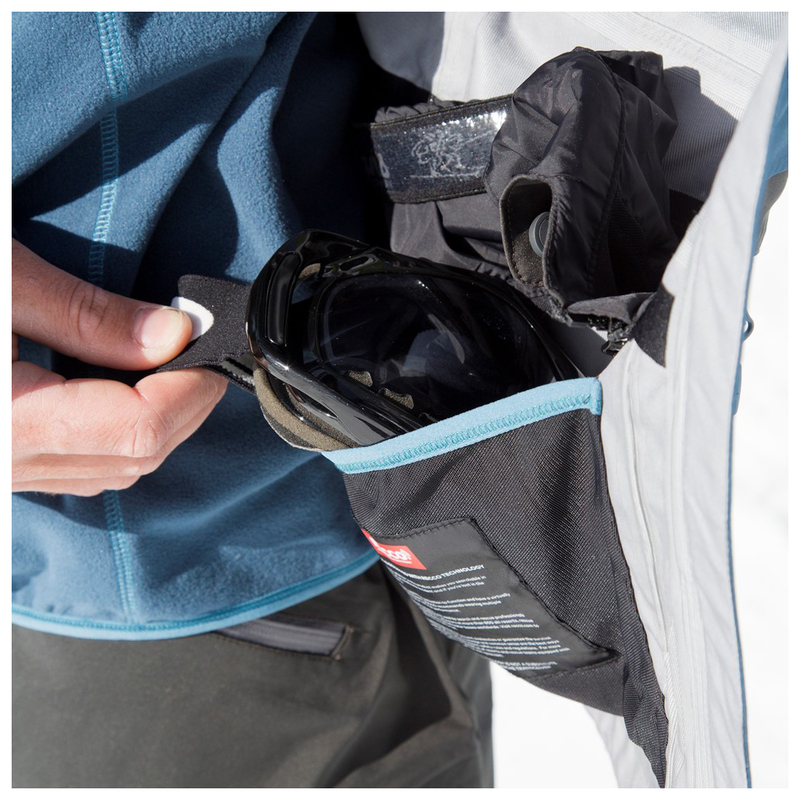 Your ski goggles, ski pass and mobile phone can easily be stored in the multitude of inside and outside pockets. 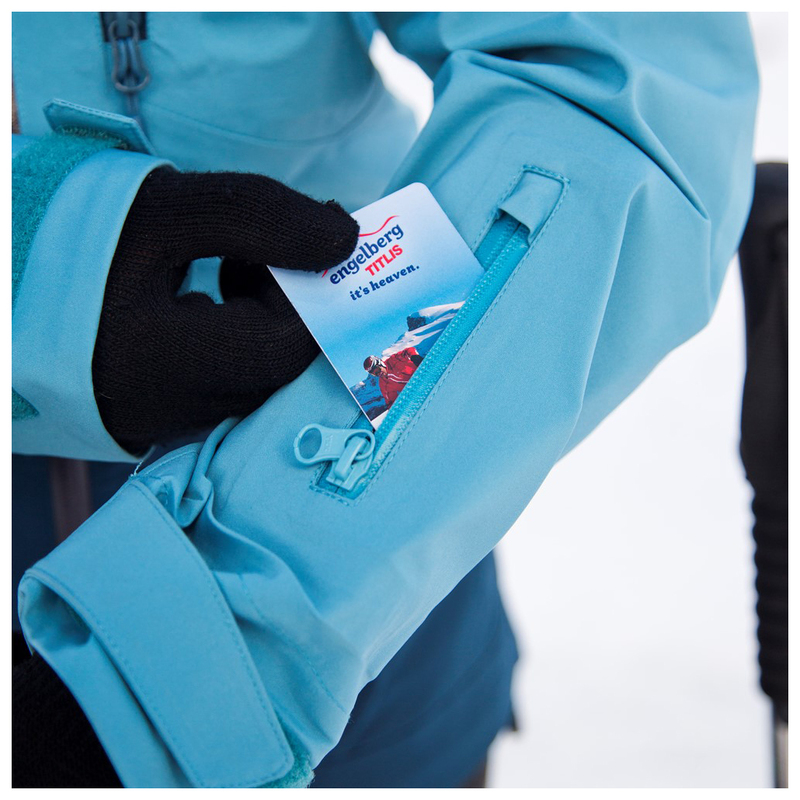 With its stylish design, the Women's Myrkdalen Jacket from Bergans is guaranteed to attract the attention of some envious skiers!